The Cavalier Cowboys held their monthly 1st Sunday match today at the Cavalier Rifle & Pistol Club. The Top Overall Shooter was myself and congratulations to Justice Jack, Mad Dog Savage, Kuba Kid, Ricochet Kid, Regret Scovefield and myself as our Clean All Day Shooters. The scores are attached in both MS Excel and PDF formats. 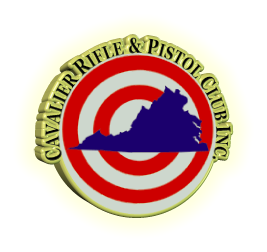 Coming up this week we have the Cavalier Cowboys shooting their 2nd Wednesday match and Pungo Posse with their 2nd Saturday match. The Cavalier Cowboys will be holding their monthly 1st Sunday cowboy match, this Sunday, July 5th, 2015, at the Cavalier Rifle & Pistol Club. The stages have been written by Major BS Walker and are attached in both MS Word and PDF formats. The Cavalier Cowboys held their monthly 2nd Wednesday Match today, June 10th, 2015, at the Cavalier Rifle & Pistol Club. The Top Overall Shooter was myself, Striker and there were no Clean All Day shooters. The scores are attached in PDF format. Next Up, well maybe, is Pungo Posse this Saturday. The Cavalier Cowboys will be hosting their monthly 2nd Wednesday Match, this coming Wednesday, June 10th, at the Cavalier Rifle & Pistol Club. The stages have been written by Cockroach and are attached in PDF format. 2nd Wednesday Matches – For our Wednesday Matches the match begins at Noon, 12:00pm, the gates will be open from 10:00am till 11:30am, registration will run from 10:30 until 11:30 and the mandatory safety meeting will be at 11:45am. Congratulations to our Top Overall Shooter, Cody Maverick and to our Clean All Day Shooters: Cody Maverick, Flatboat Bob, Mad Dog Savage, Prairie City Slim, Striker and Virginia Rifleman. The scores are attached in PDF format. The scores are in an slightly different format, I used the ACES scoring system as an experiment today. The Cavalier Cowboys would like to welcome Little Rhody who shot his first cowboy match today, Welcome to our cowboy family Rhody!! Next up the Cavalier Cowboys will be holding their 2nd Wednesday match this coming Wednesday, shooting starts at 12:00 Noon. And then on Saturday June 13th the Pungo Posse will be holding their monthly 2nd Saturday match, shooting starts at 10:00am. The Cavalier Cowboys will be holding their monthly 1st Sunday match, this Sunday, June 7th, at the Cavalier Rifle & Pistol Club. The stages have been written by myself and are attached in both MS Word and PDF formats. After the match we will be holding our Cowboy Social, everyone is invited to join us so bring along your favorite snacks and drinks and join in the festivities. As most of you know, beer, wine, etc., is allowed after all guns have been stored away and limited to the picnic area. We are also going to be holding a discussion and planning session about our annual two day match, Gunfight at the Double-C during the Cowboy Social.